Mossad Director Yossi Cohen warns Iran is moving to fill the void left by ISIS, be dominant power in the Middle East. 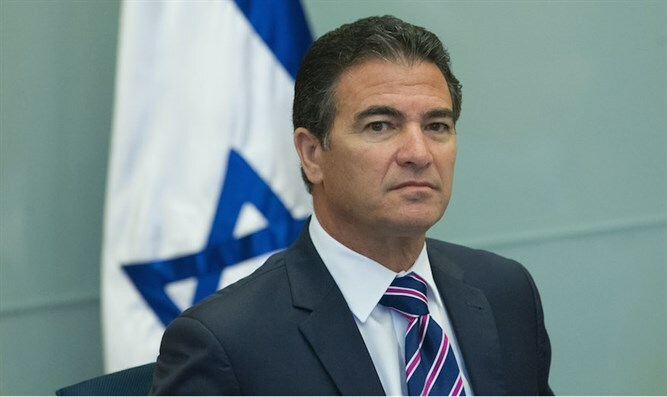 Mossad Director Yossi Cohen briefed the cabinet Sunday, warning that the Iranian regime is expanding its control across the Middle East through proxy forces in Syria, Lebanon, Iraq, and Yemen. "In places where Iran's presence is limited, Iran is working to fill the void," he said. Cohen also said that Iran has not abandoned its aspirations to become a nuclear power, and that the nuclear agreement signed between the world powers and Iran only strengthens Iranian aggression in the region. The Mossad head also told ministers that Iran's economy has gotten stronger ever since signing the nuclear accords in 2015, a trend that has been reinforced by recent international agreements. The agreement freed frozen Iranian funds and led to trade agreements with European countries eager to profit from the opportunity. Under Obama, the US also sent Iran hundreds of millions of dollars after Iran freed US hostages. Prime Minister Binyamin Netanyahu said during the discussion that Cohen's assessment proves that the agreement between the major world powers and Iran was fundamentally unsound, as he had warned, and noted that Israel is not obligated in any way to the international agreements signed by Iran. "Israel will continue to act determinedly and in a variety of ways to defend itself from these threats," said the Prime Minister. Netanyahu had been a major opponent of the Iran deal, lobbying members of the US Congress to vote against the plan, and warning that the accords would pave the way for Iran to become a nuclear power. United States President Donald Trump has been significantly more hostile towards Iran than his predecessor Barack Obama, and blasted Iran in July for not "living up to the spirit" of the nuclear deal it reached in 2015 with world powers. "I don't think Iran is in compliance. I don't think they're living up to the spirit of the agreement," Trump had told reporters at his golf club retreat in New Jersey.